Regardless which design you choose, made to measure curtains with subtle or striking solid colour or neutrals, give such an air of comfort to any room. We specialise in made to measure window dressings and you can rest assured that your curtain fabric will be of the highest quality. Beautiful made to measure curtains and blinds of all sizes and shapes from your local friendly, efficient and highly skilled specialists, makes buying online that bit easier, from charming cottage flair, to classic and contemporary, traditional and tasteful, we supply all aspects of curtains, curtain tracks, poles, blinds and a lot more to inspire any home decorating project. Make your house prettier with our made to measure curtains fabric and express your own unique style; perhaps your taste is to drench a room in texture and colour, or opting for a traditional look with a tailored town effect that points toward the elegant and refined, whereas the country is more relaxed and traditional, whatever you decide, your house will appear more attractive to those who see it from the outside. Whatever style you've got in mind rich, dramatic design and colour will not only add sophistication, but an English-like ambiance to your home décor. Whether you wish to add a pair of new curtains, a door curtain, or change all the window dressing throughout your home, Nets2Go are happy to help you. We're friendly and easy going, we feature a wide array of elegant and sophisticated designs that we are sure to please. Perhaps you have an inspirational piece of fabric, or a design that appeals to you, be it timeless and versatile or plain tones; check out the wide range of both colours and textures from our online pages and please do let us know what you prefer, our quality products will definitely make a home look more sophisticated and elegant. 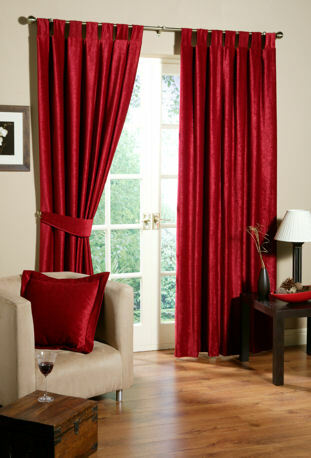 We provide an excellent service, once purchased all of our made to measure orders can be hung at your windows immediately you receive them, as all our curtains are expertly cut to high standards and finished off professionally, so when you unpack your order you can safely fit them straight away. Choosing fabrics and embellishments for any window for the home can be fun and rewarding as you explore with different colours and taste, deciding on whether to have a beautiful lace net coupled with solid deep hues that bring warmth, or bright and fresh for that cool effect, we have a wide variety of distinctive fabrics both traditional and modern to choose from. Our curtain and decoration fabrics are unique, yet versatile. 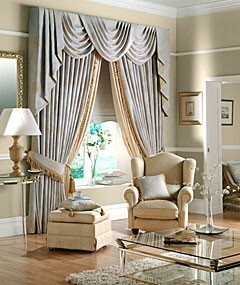 Perfect made to measure curtains products enables a quick and dramatic change to your home décor.